First I crumbled the decidedly un-fluffy cinnamon rolls onto a cookie sheet and lightly toasted their crumbled remains in the oven. Let the toasted pieces cool for 5-10 minutes before combining them with 80-100g unsalted butter (depending on how dry your original baking disaster was...). If the oven is not already heated to 170C/350F, then start to preheat it now. Next, knead the butter into the toasted crumbles until you have a firm cookie-dough-like consistency. Set aside for a moment. 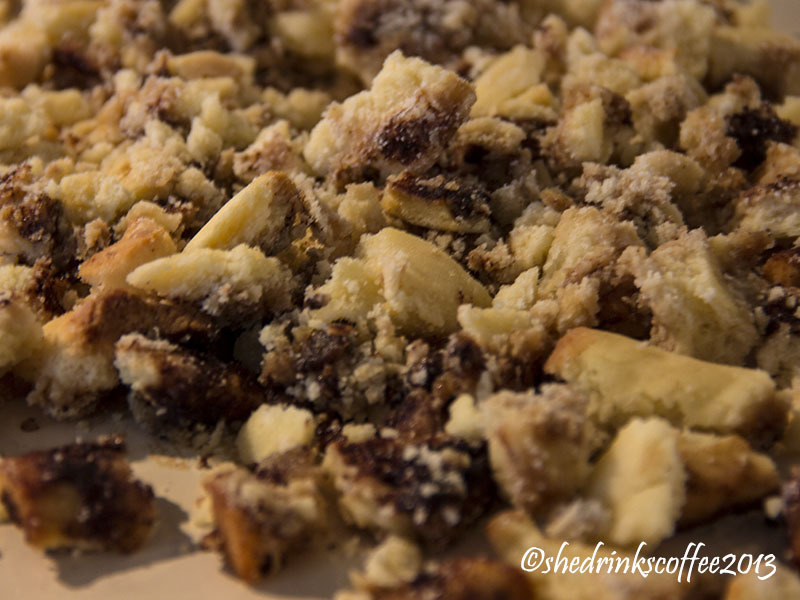 For the apple filling, I followed a very similar recipe to what I did for my Almond Apple Berry Crumble. Roughly chop 3-4 cooking apples. 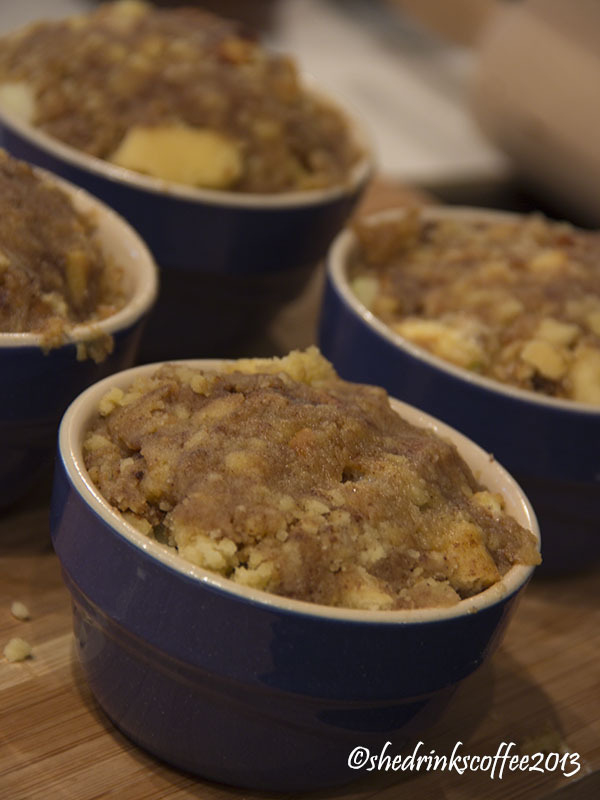 Then mix the apple chunks and raisins (if desired) in a mixing bowl and toss lightly with 1 tablespoon of flour. If you'd like, also toss with 1 tsp ground cinnamon. I didn't do that with this batch, since I was already using the remains of cinnamon rolls! Pop into the oven for about 30 minutes, let cool for 5, and enjoy!